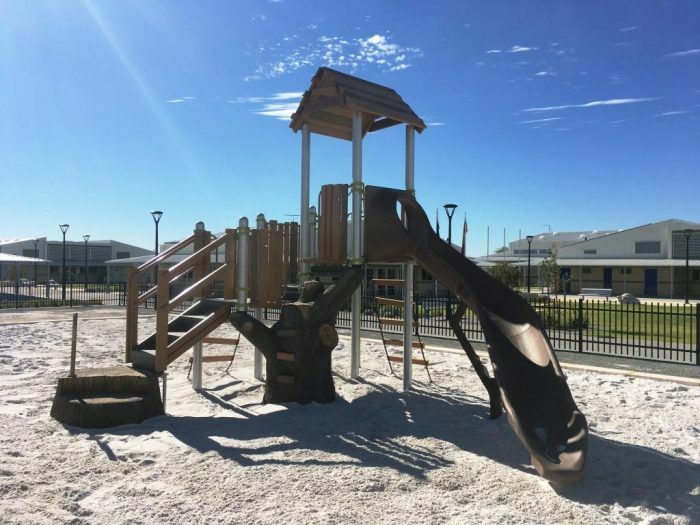 We had already had the privilege of installing play items at the brand new Alkimos Beach Primary School prior to them opening at the start of 2017. We were then thrilled to be asked back to create the next play area with our nature inspired Treehouse. Glass fibre reinforced concrete and wood look panels create the look and feel of nature with the longevity of premium manufactured product. 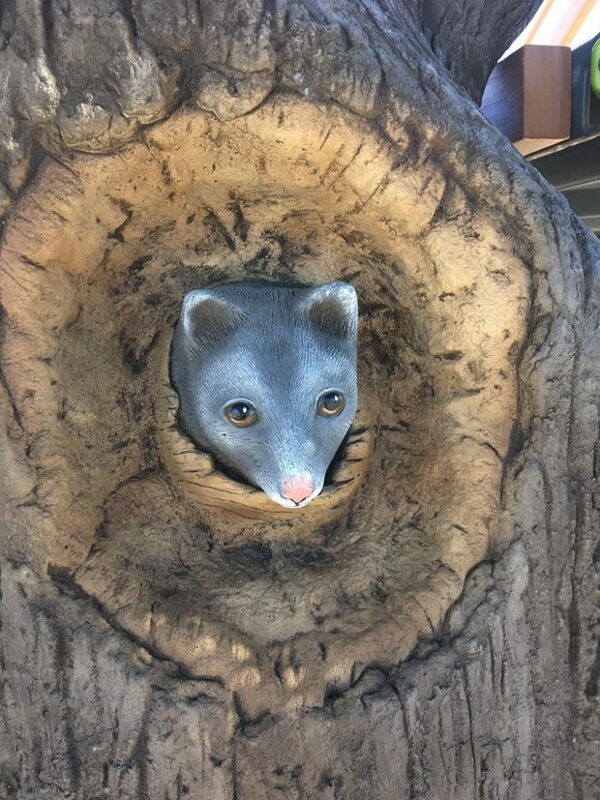 Creature features include a possum and wombat, hand moulded and painted realism on the tree trunk and a fun “kid built” style cubby house roof for “Kids Only”. 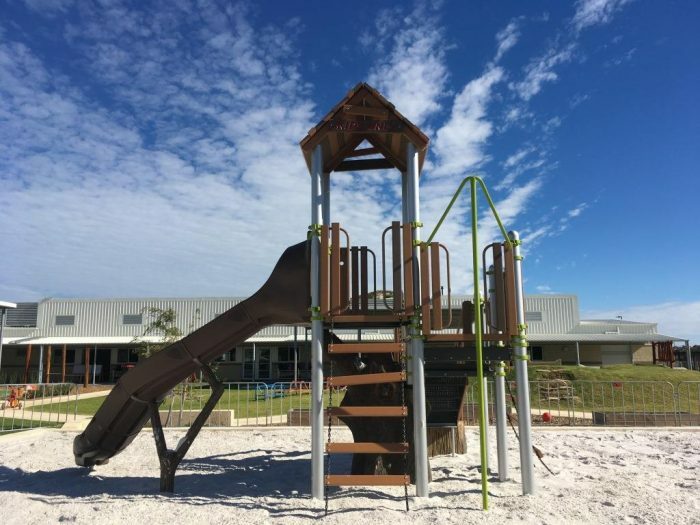 But the best part is that the school is budgeting for stage 2, which will include an extension of this treehouse to create a stunning system that is going to delight students at the school for many years to come.